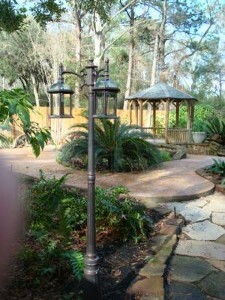 Lighting adds beauty and security to your home. 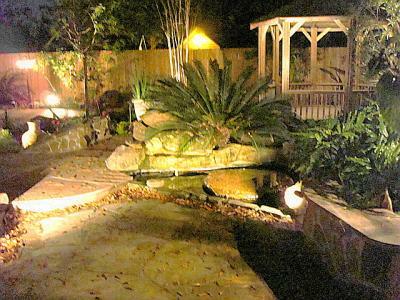 Low voltage lighting is the preferred type for accents and ground illumination. It includes a transformer, appropriate sized wiring, high quality metal fixtures with LED bulbs. These systems use minimal energy, do not need conduit, are generally flexible, and safe. There are many styles and colors to choose from. 110v lighting is "hard wired" into the electrical system and is typically used for area lighting and security. 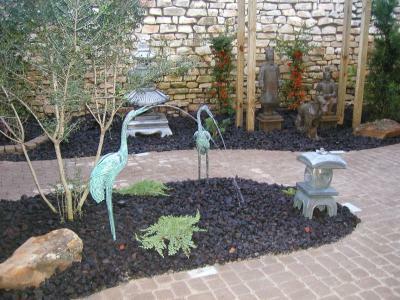 There are many styles and colors of fixtures. LED, incandescent, or flourescent bulbs may be used. 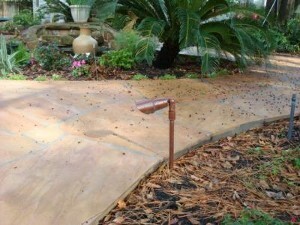 Although there is little flexibility in the system after installation, they are very durable. As with all of our products, we only use quality materials and our experienced designer will guide you with appropriate suggestions for your lighting needs. 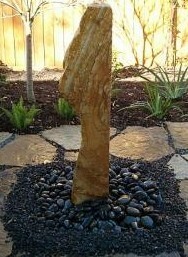 Add soothing sound and motion to your landscape. 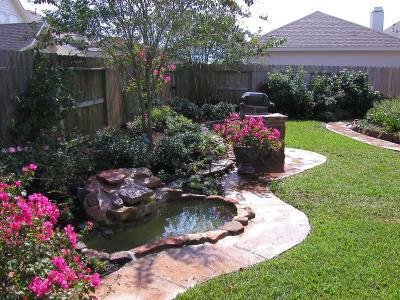 From ponds and waterfalls to "disappearing" water features, and fountains, the landscaping can come alive with restful sounds and visual affects. 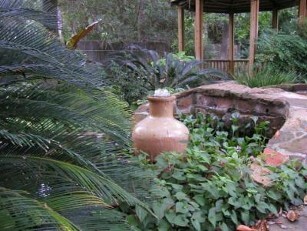 A water feature can be made from practically anything and be not only attractive but surprisingly low maintenance. 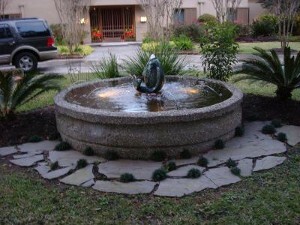 Let our experienced designers help you to decide which type of water feature is right for you and where it should be installed in order to provide just the right accent for your needs.